Vermont State Employee Credit Union Grant! 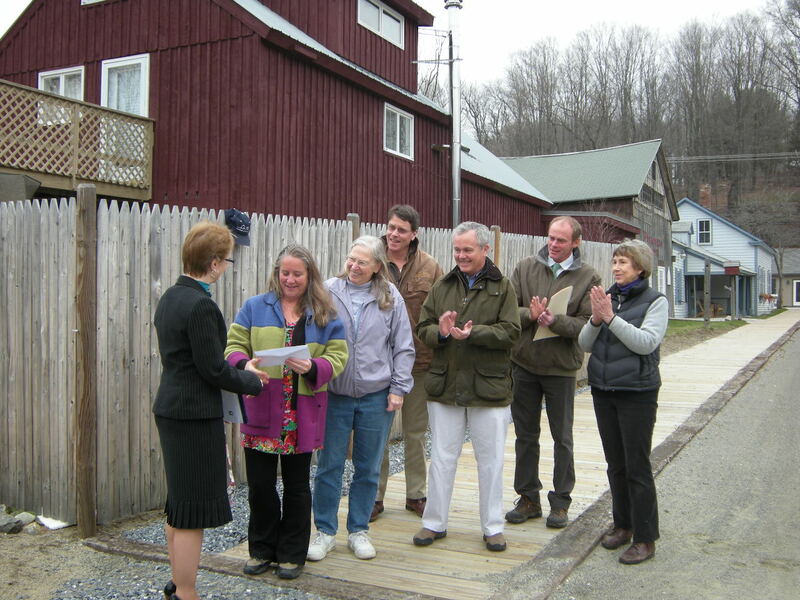 Vermont State Employee Credit Union delivers a $10,000 Grant to Julie Lineberger, Board Secretary of The Wilmington Fund VT for the purposes of lighting a Village Parking Lot. From left to right: VSECU Brattleboro Branch Manager, Tina McCosker; Julie Lineberger, Carolyn Palmer & Cliff Duncan of the Parking Lot Committee, John Gannon of The Wilmington Fund VT, Wilmington Town Manager Scott Murphy, Lilias Hart also of the Parking Lot Committee. 2015 Fundraiser • Join the Fun!